It’s time to secure your membership for the 2019 COF Water Fowl Season, including teal and south zone dove seasons. 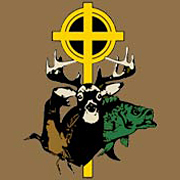 Christian Outdoor Fellowship is an outreach ministry which presents the Gospel of Jesus Christ to men, women, and children through recreational and lifestyle evangelism and a common interest in hunting and fishing. Christian Outdoor Fellowship seeks to enhance evangelism, discipleship, and fellowship using the outdoors as a platform. 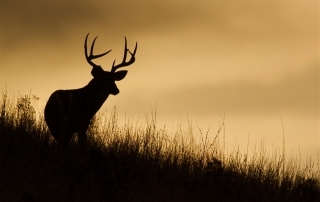 We accept the obligation to preserve our natural resources, to protect and perpetuate every living species so that future generations may enjoy the hunting and fishing privileges that we possess today. Hear is an opportunity to help COF raise funds for scholarships and an opportunity for you to win your choice of five prizes. It's that time of year to start signing up for the fall and winter hunts. Hurry, they fill up fast! Our November 2018 Raffle winner has been announced! Find your purpose in marriage by serving your wife even when its inconvenient. As Christians, we must be on our guard, stand firm in our faith, and be strong men of courage! There is a starting point to creation. That starting point is God. We must strive to be obedient to God and honest with ourselves. Get off of auto-pilot and renew your mind. I wanted to thank you for the opportunity to hunt in Menard. The fellowship was great and so was the hunting. I am still in shock over our blessed hunt on Sunday. I have never taken that many deer in one morning. If you would, please pass on my email address to Kenny, which he asked me to do. I know that you are busy, but if you get a chance, could you email me pics of myself and Haydenn? Thanks in advance. God bless. Just a note of thanks and well wishes for this weekend’s group at Acorn. Kelly and I had a great experience and fellowship. The accommodations, ranch, guides, and our group made for a memorable weekend. I took my first whitetail with my flintlock muzzleloader. Your menus were nutritious and plentiful. We brought a grocery bag of food, but only needed snacks for the blinds. It won’t be 5 years again till we hunt. Kelly wants to try for an axis doe next time and maybe try it with a muzzleloader ( with .243 as back-up) This is Kelly’s doe. I want to thank you for organizing this group and say how happy I felt being out today with you. I have been in the COF since 2000 and it was the CSF, and I have spent a lot of mornings with you. It is humbling growing old with you. I picked up a dove lease this season with you and I bought my son a duck lease for this season through you. He truly loves hunting ducks and geese. He is in college like your son, at Texas Tech, so can’t be here for early hunting. He has benefited more than I by way of the COF policy to take kids hunting and making hunting free for kids. That is why I bought into the CSF 10 years ago, and my boys are the true beneficiaries of the spirit of your organization. GHCOF is a 501c3 non-profit ministry. Your donations are tax deductible.